Do you know how to remove spray paint from hands? If you are reading this, then I guess not. What if you could learn all the tricks, tips, and methods that can help you clean your hand fully no matter what paint you are using? In this article, you will learn exactly that. You will learn how to protect your skin from getting damaged by spray paint and how to get your hands back to its clean and tidy state. 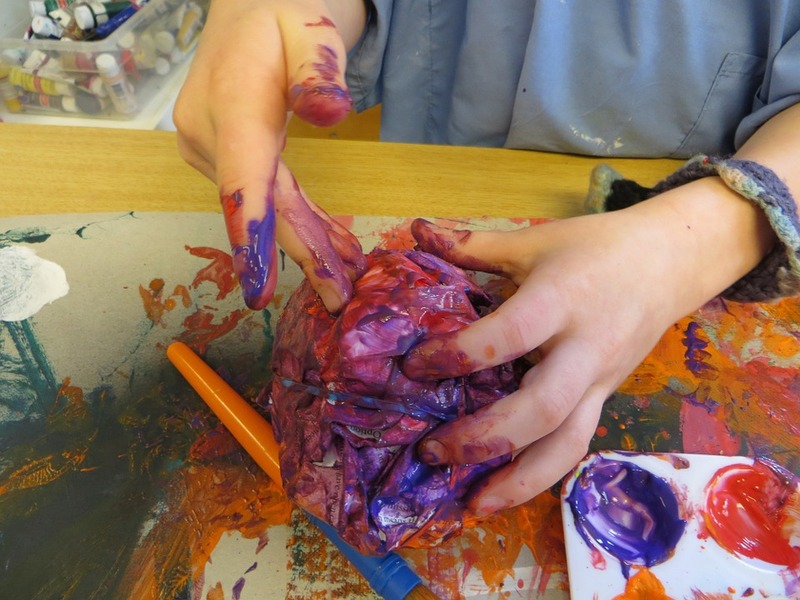 No matter how careful you are when painting, there is a possibility that the paint will get on your hands. It could happen because you are not paying attention enough and as a result spray your own hand by mistake. It could also be as a result of a furious gust that just happens to be more powerful than your spray tip can control. And sometimes, your sprayer can misbehave and there is nothing you can do about that. No matter what way you end up getting spray paint on your hands, there are a number of solutions you can quickly employ to get your hand free from paint. This is the simplest method to remove paint spray from the skin. It works well, especially if the paint spray is water-based. Fill a basin with enough water. Immerse your hands in the water to loosen the paint spray. Use your fingernails to get rid of the spray paint from your skin. Apply some liquid hand soap on the sections of the skin with spray paint. Smoothly rub the soap on the skin with spray paint as you immerse it in water. This should help you to remove any remaining spray paint on your skin. Complete the process by washing your skin with water then rinsing it. Nail polish remover is highly recommended for removing paint from skin. Opt for nail polish remover that has acetone. If you use one without acetone, it might not yield the expected results. Further, ensure you have cotton balls before you embark on removing the paint from your skin. Immerse the cotton ball in nail polish remover. Use the immersed cotton ball to get rid of paint from your skin. Immediately you start scrubbing the painted skin with the cotton ball, the paint liquefies and detaches from the skin. If the spray paint is on a large section of your skin, you will need several cotton balls immersed in nail polish remover to scrub the paint off. Repeat the procedure until you remove all the paint from the skin. Thoroughly wash your hands once you are done removing the paint to diminish the strong smell of nail polish remover. If coconut oil is available, it can serve the purpose of removing spray paint from the skin as well. Other than coconut oil, you will need cotton balls. Take a cotton ball and dip it in coconut oil. Use the cotton ball dipped in the oil to smoothly scrub the skin with spray paint. Scrub repeatedly the painted skin parts in order for the paint to loosen from the skin. Apparently, lemon can be used to remove paint from your hands. It is believed that lemon’s natural acidity aids in getting paint off the skin. Take a fresh lemon and slice it into two parts. Extract drops of juice from the lemon through squeezing. Soak a cotton ball in the extracted lemon juice. Using the lemon soaked cotton ball, rub the painted skin gently. After some time, you will notice that the paint starts loosening from your skin. Continue rubbing the painted skin until you are satisfied that all the paint has loosened from the skin. Lastly, rinse the skin with water. This will help you notice any traces of paint left on the skin. If there is any paint left, continue rubbing with the soaked cotton ball to fully remove them. Essential oils are by nature antibacterial. They are also capable of effectively removing paint from the skin. Pour a few drops of the available essential oil on a cotton ball. Use the essential oil soaked cotton ball to scrub off the paint until it is completely removed from the skin. Make a blend of coconut oil and baking soda by mixing the two in a bowl. Make a paste that is enough to clean the painted skin. Use a cotton ball to smear the paste on the skin with spray paint. Wait for about a minute before you start scrubbing off the paint. Proceed to rub off the paint using a cotton ball. You will notice that the paint starts to gradually loosen from the skin as you continue scrubbing. Baby oil is regarded as a powerful way to remove paint from the skin. Specifically, it helps to remove oil-based paints from the skin by melting them. Pour a few drops of baby oil on a cotton ball. Gently scrub off the paint from the skin by using the oil-soaked cotton ball. It is advisable to rub the affected skin in soft circles. Do not exert unnecessary pressure on the skin since it can result in sensitivity. Make sure you have all your protective gear (such as overalls, protective glass, gloves, etc.) on you before painting. This is the most effective way of protecting your skin from being affected by toxic materials. When all the sensitive parts of your body are covered, you won’t worry too much about getting contact with paint and you can work with more concentration. If you happen to not have all the necessary gears to cover all your body, you should take particular attention to your eyes or face. At this point, the face is the most sensitive part of your body and is more vulnerable. Don’t take either of your hands to the face after you start till you end your painting session. Maintain a considerable distance between yourself and the object you are painting. This is even more important if you are not using any protective gear. Wash your hands immediately after each task. Even if there are no noticeable paint residues on your hands, it’s safety wise and hygienic to wash your hands with soap and water. If you have used oil-based paint, you should even heed this more. If you deal with paint on a regular basis and you don’t like paint getting on your hands, you should probably get yourself gloves. This should be thick and should be designed for protection against painting (the painter’s glove is the best option here). Even if the paint does get to your hands eventually, it will much less than if you have your hands naked. Ensure children are not close to where you are painting. While you will likely be doing most of your painting in a well-ventilated area, it should be an area that is clearly marked off so children don’t come close. Removing the paint from your skin when it is still fresh makes it easier to clean. If you wait for longer, you will scrub more and that means more pain. That’s why I recommend washing your hands right away. Moreover, if you use any oil in cleaning your hand, you should wash your hand with soapy water to remove any trace of it. Finally, dispose of all the items you used in cleaning properly. It is important you choose a method out of those outlined here that is suitable and easy for you to carry out. Not that some of these may require you to have some items that may cost you extra money. The advantage is that you can reuse them in the future when you need to do the same thing. Some methods don’t require purchasing anything at all, just plain household items. You can try these first and see if they work so that you can save money. Now that you have learned how to remove spray paint from hands, you can check out our guide to the best paint sprayers too!